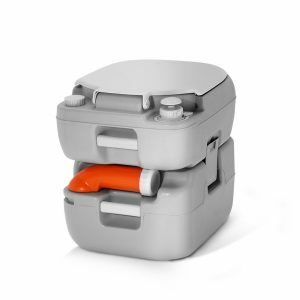 Weisshon 22L Portable Camping Toilet. Features a high quality construction and generous water reserves. 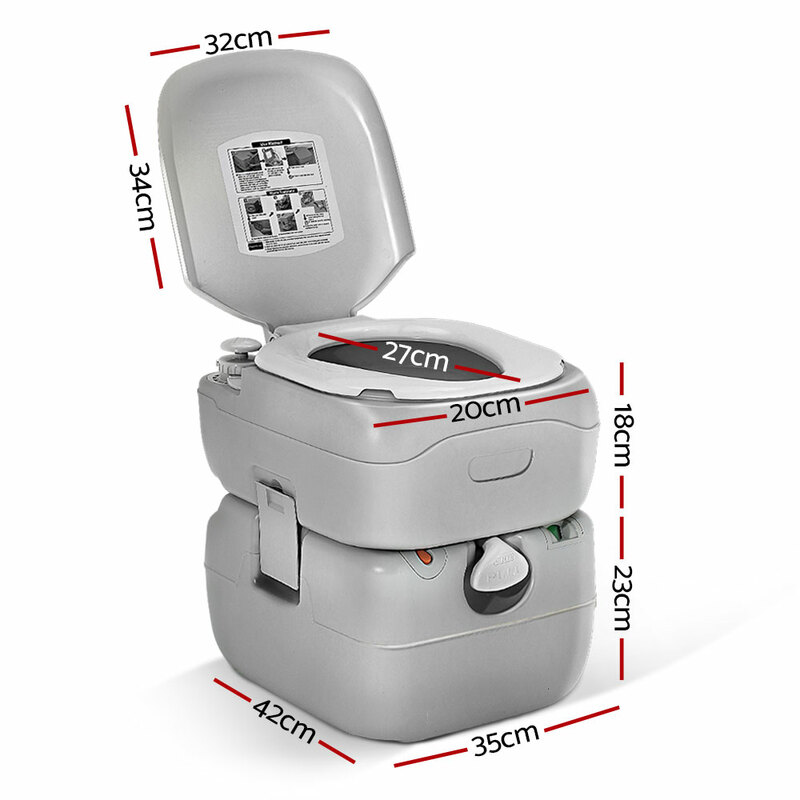 In fact, 14 litres of freshwater capacity that is good for up to 80 flushes. 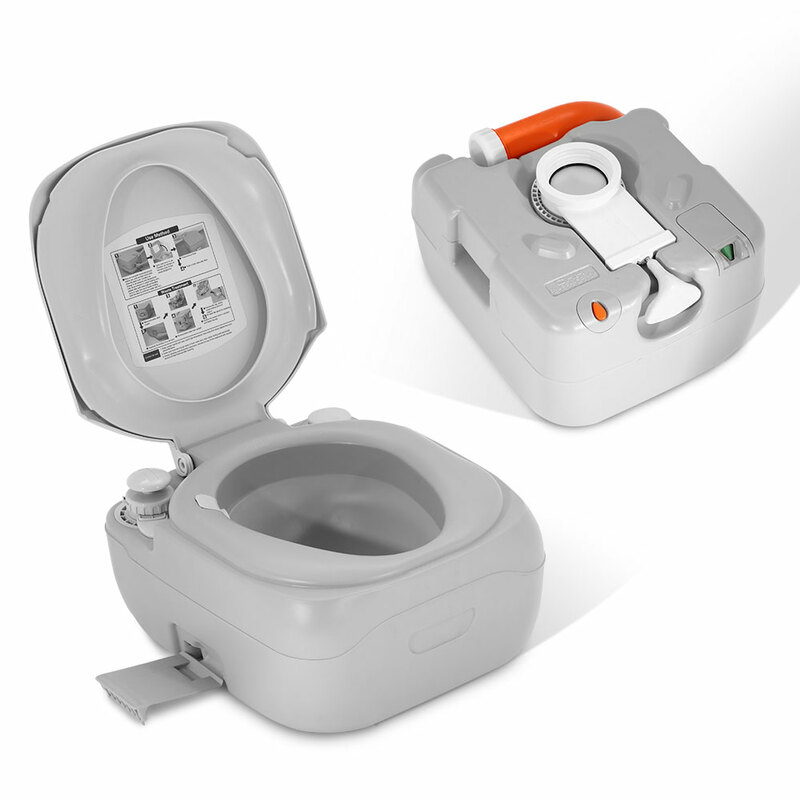 And unlike others, its two-way flush is ultra strong and ensures total and complete flushing for a thoroughly cleaned toilet. The double-sealed drain valve also protects against leakages and odours. 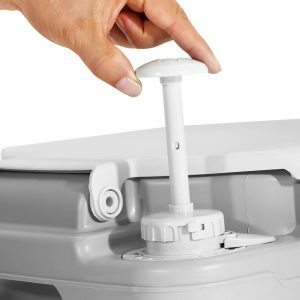 The high-density construction makes it strong and durable while both the water and waste holding tanks are of one-piece construction with heavy-duty and corrosion resistant side latches locking the tanks together. 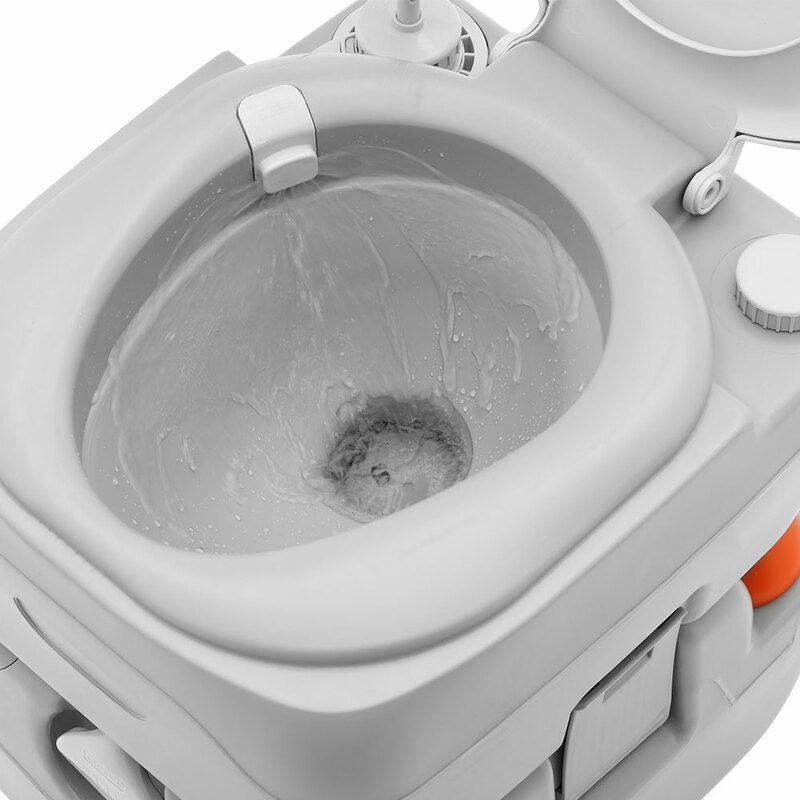 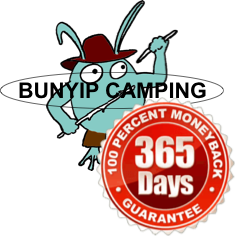 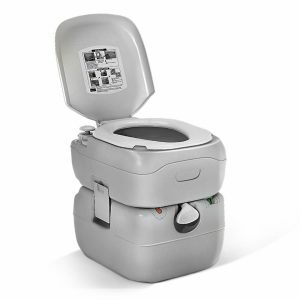 The portable toilet has an attractive matte finish and is scratch-resistant. 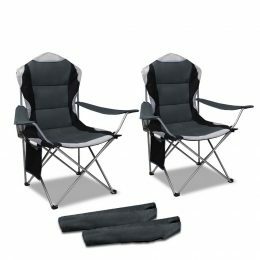 Not least, the 22-litre holding tank is detachable for easy disposal of contents and cleaning. 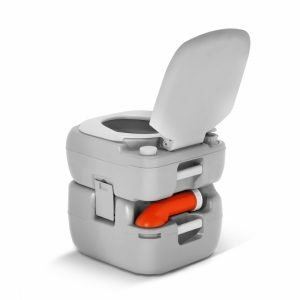 With no power or water source required, our portable toilet is just perfect for your camping, picnic, marine or road trip.